"Dwyer luchtvochtigheidstransmitter Model: WHT-322 Bereik: 0…100%RV, -40…60°C Uitgang: 2x 0-10V "
DescriptionThe Dwyer WHT series humidity transmitters measure temperature and relative humidity in the outside. The waterproof housing and sintered filter protect the sensor from weather effects. The WHT series is available with an analogue output for relative humidity and optionally also temperature. 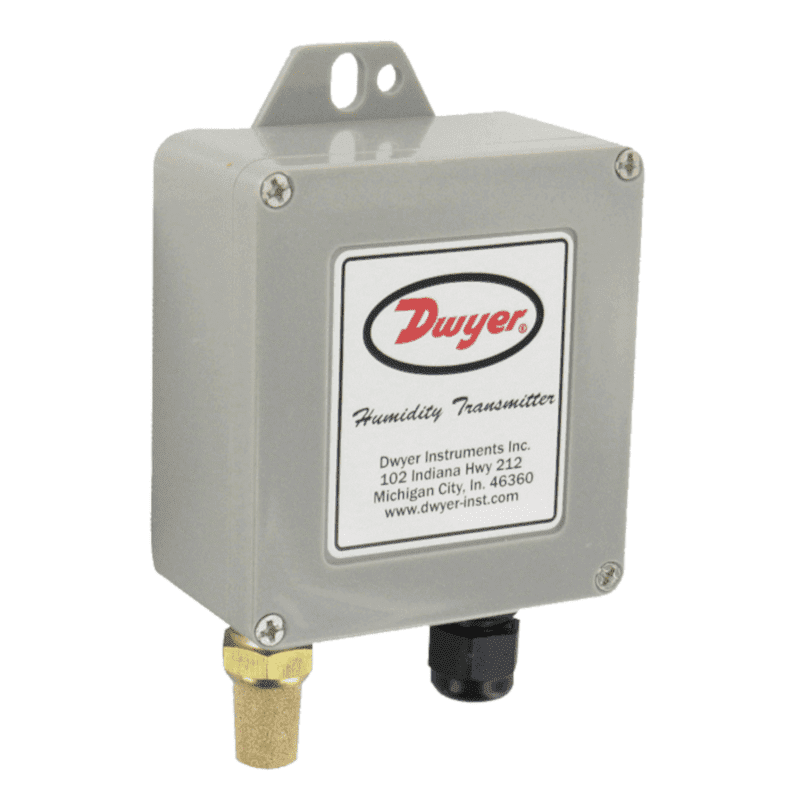 The Dwyer WHT series humidity transmitters measure temperature and relative humidity in the outside. The waterproof housing and sintered filter protect the sensor from weather effects. The WHT series is available with an analogue output for relative humidity and optionally also temperature.